The links provided on this page are for information only and we are not responsible for any outside content. Inclusion does not imply recommendation. Many people wish to find out more about mediumship or might feel a little shy at first about coming along to a demonstration or approaching a development group, our sister website www.marlene-woolgar.com >Information > Articles has a great deal of information about the subject and is very down to earth and approachable. Is run by Sue Smith and offers psychic / mediumistic development groups in the Mid Sussex area. Seaford Spirit Centre holds regular Services, demonstrations of the various types of mediumship, spiritual healing and hold groups and workshops for mediumship development. The website has interesting information about the birth of Spiritualism. Is an online library where you can find many out of print / copyright books on Spiritualist, Mediums and development. Regular newspaper – The Independent Voice of Spiritualism. Also available as an online version. Two Worlds was founded by famous medium Emma Hardinge Britten in 1887 and is now a 76-page monthly magazine, it is edited by Tony Ortzen. 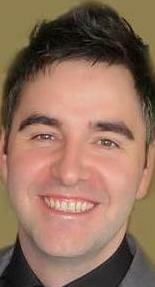 Darren Brittain is one of the Healing Light Spiritual Centre’s most popular mediums and tutors. Although based in Loughborough, his demonstrations for us are always sold out as soon as we release the tickets! Tony Stockwell has been a Healing Light Spiritual Centre regular for many years. Together with his international demonstrations, for which he is well known, he runs workshops and seminars all over the country and abroad. The Spiritualists' National Union website. The International Spiritualist Federation website. Founded in March 2012 this site gives a directory of holistic services in the UK, helping you find the best holistic treatment providers in your area. Online guide to what is going on in the field of Alternative and Complementary Health and Healing throughout London and the South of England. One of Celia's - the founder of The Healing Light - own websites. She offers an online development circle, an e-course and a personal coaching programme. Her book Open Up To Miracles - How to Change Your Energy to Change Your Life is available on Amazon. Celia's healing/counselling website. She deals with all problems using her spiritual and intuitive guidance.